Venture Electronics debuted their new “Lite” line of earbuds earlier this year, whose main new feature is the new shell – smaller and lighter, hence the name. 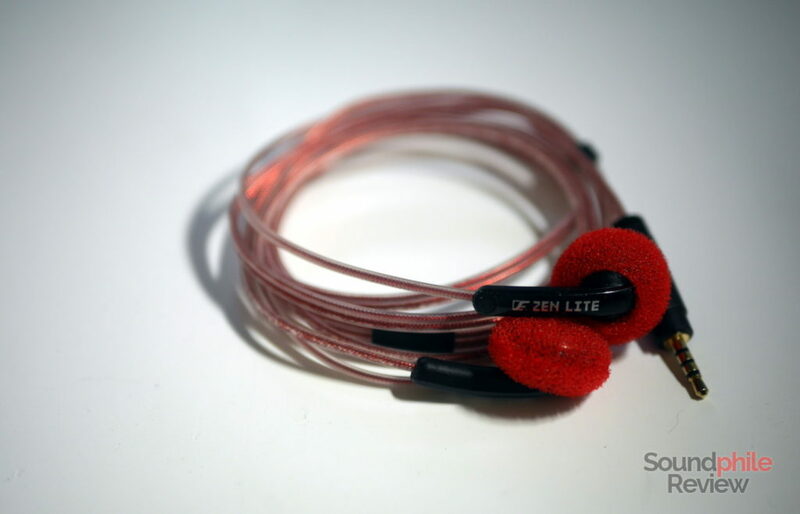 The Venture Electronics Zen Lite is the flagship of these smaller earbuds and it brings a tuning that’s similar to that of the Zen 2.0 to this new form factor. Though the full-size earbuds are still unmatched in terms of technical capability, this is a very interesting product that sounds good while offering better comfort and being easier to drive. Disclaimer: I would like to thank Lee for sending me a unit. I will not need to return it. You can learn more on the product on the Venture Electronics website, where it is sold at $148. The Venture Electronics Zen Lite comes with all the standard things that come with Venture Electronics products – a small case and, in case one chooses the 2.5 mm jack connector, an adapter to 3.5 mm single-ended jack. In terms of design, the Venture Electronics Zen Lite is almost identical to the Venture Electronics Monk Lite. The only notable difference is that the shell is completely black, with a shiny finish. It looks better than the Monk Lite, but that’s just appearance – the shell is the exact same. This is why I recommend you to read the review of the cheaper model to learn more on design, build and comfort. 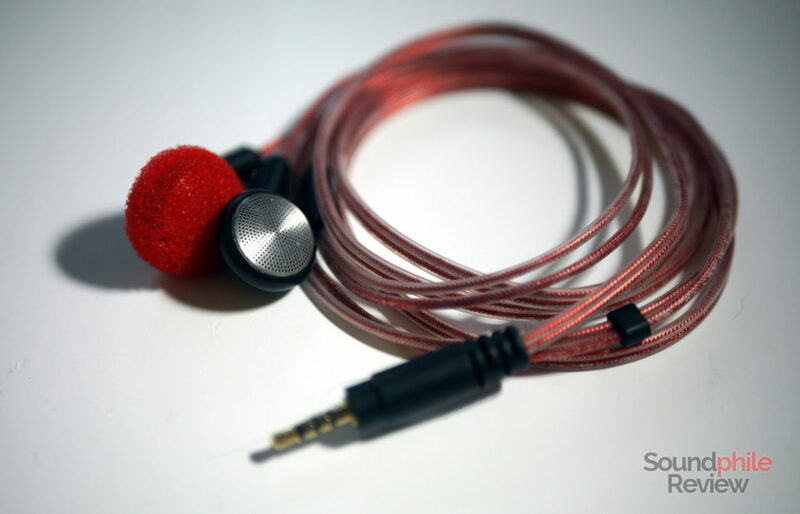 The only other significant difference is the cable: it is really similar to the SPC cable used on the Venture Electronics Monk Plus SPC, but it has a distinctive red colour and a braided pattern underneath the plastic coating. It’s certainly unique in its appearance and it is a distinctive element of the Zen line. It also has high microphonics, so every touch will cause loud noise in your ears. I used a variety of sources to test the Venture Electronics Zen Lite: Topping DX7 (both single-ended and balanced, also as source for the Little Dot MKIII SE), Topping D30 acting as source for both a Head ‘n’ HiFi Objective2 and a Venture Electronics RunAbout 2.0bl, and a Cayin N5ii. Venture Electronics did not publish specifications for the Zen Lite. Despite this, judging by the way they act compared to the Zen 2.0 Omega Edition, they should have high impedance (>150 Ω) and high sensitivity (>95 db). In fact Lee confirmed to me they are 300 Ω. The Zen Lite are not made to pair with low-power sources and an amplifier is recommended. In terms of technical ability, the Zen Lite are on par with the Asura 2.0 and Asura 2.0s, give or take: the soundstage is wide and even has some depth. There’s enough space to make you feel in a relatively large room with music coming from the various places, near and far. This impression is also aided by the good imaging ability: the placement of instruments in space is somewhat accurate, though not pinpoint-like. Instrument separation, on the other hand, is over the average and presents you with a clear picture of what’s going on, despite suffering a little bit in the most complex situations that tend to mash up things a bit. This is common in most earbuds, but Venture Electronics really did a good job here in keeping it under control. The tuning is halfway between that of the Zen 2.0 and the Asura 2.0: it has an undeniably warm character, which is not as pronounced as on the Zen sibling, but it does not have the same upper midrange focus. 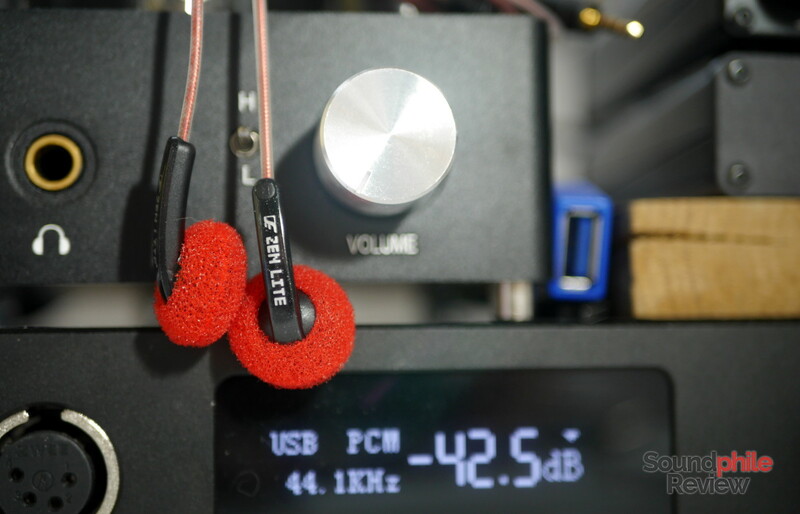 The result is a good balance that makes this tuning likeable and laid-back, reminding me a bit of the HD 650 – with all due differences, of course. Bass is not as powerful and deep as that of the Zen 2.0, yet it has adequate presence and impact to sound lively and intense. In fact it’s not perfectly neutral and is a bit more abundant than what’s ideal, especially in the mid-bass region, resulting in a warm overall character. Despite not being especially deep, the bass on the Zen Lite has enough presence and power to be felt; even tracks such as Massive Attack’s Angel – which usually is a good track to test headphones for bass – sound good, though the lack of the lowest frequencies can’t be ignored. Quality is good, yet it is not devoid of criticism: it’s not really fast and it doesn’t make drumbeats sound immediate and with the right sense of impact. There’s also a bit of muddiness as separating the various parts is sometimes difficult. It’s still enjoyable, but it is a clear step down from the full-size Zen. Although midrange is mostly balanced and relatively neutral, it has to be noted that that there is a slight emphasis in the upper region. As a consequence, high-pitched instruments such as electric guitars are a bit sharper than usual. This has little effects on other things, though: sibilance is almost entirely absent, despite crisp – well, almost sharp – detail in the upper region. Teardrop by Massive Attack (from the same album as Angel, the incredible Mezzanine) has lots of typically sibilant sounds (“s” and “t”) that are instead tame, while simultaneously displaying how good detail is in portraying the crackle in the background. When it comes to quality, there is a good level of detail and enough clarity to hear the different parts without much mixing. Speed is again not the best quality, but it’s enough to feel picked instruments. There is decent extension in the treble area, though the roll-off is pretty fast, leaving just a bit of air. Presence is not something to worry about, as treble is pictured with the correct quantity and appears right where it should be. There is also enough detail, though it’s not as good as to allow to hear all the smallest nuances and micro-details. This is apparent when listening to tracks with cymbals and other similar instruments, such as Dave Brubeck’s Blue Rondo a la Turk (a favourite of mine): the small details are lost there, slicing off an otherwise important part of the track. Venture Electronics Zen 2.0 Omega Edition: the Zen 2.0 are immensely superior in every possible sense – be it detail retrieval (especially in the treble region), soundstage, imaging, instrument separation, speed… You name it. The only thing they have in common is tuning, though the Zen 2.0 offer slightly more extended bass and better treble extension and accuracy. The Zen Lite sounds like a watered down, dampened Zen – they are no match for the bigger version. Venture Electronics Asura 2.0s: the Asura 2.0s are much more focused on the midrange, which is a lot more forward than on the Zen Lite, with a bright overall tone. This makes them more energetic and vivid, and with a wider soundstage too. There’s also a lot more emphasis on treble, which comes also out as more detailed. The Zen Lite are better in terms of bass depth and have a somewhat more balanced tuning, but that’s pretty much it. The Venture Electronics Zen Lite is a smaller, lighter and more comfortable version of the renowned Zen 2.0. It is a smaller sibling in every sense, as it also has less technical ability. Its signature is more balanced, though, and this makes them appealing for a wider public. The downgrade is significant but not as massive as to make them sound like low-end earbuds, and in act the Zen Lite come out as halfway between an Asura and a Zen – quite literally a lite version of a Zen. All considered, it is a good product that brings many of the strengths of the Zen line to a nimbler package. At this point I would be quite curious to see (and hear) an Asura Lite, but I digress. Though not as capable, the Venture Electronics Zen Lite is priced at the same level as the bigger sibling, and that may be its only true weakness – for my part, I would choose the “full-size” Zen over the Lite version. This is why it’s the same Venture Electronics that recommends the Lite to those looking for a smaller package without hiding it is an inferior product in terms of sound. What’s sure is that the balanced tuning and good technical ability of the Zen Lite make it unique in VE’s line-up, and definitely worth a shot.